We at Sahar get many questions about the projects we work on, and the boarding school has really piqued the curiosity of our community. 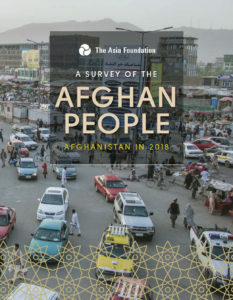 We went right to the source – our amazing architects and Afghanistan-based builder – to address some of the most common questions. 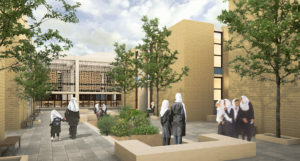 The pro bono architects on the boarding school include Sahar board member Dave Miller and Margaret Sprug, both of Miller Hull Partnership in Seattle, Washington. Dave is the founding partner of Miller Hull and a professor of Architecture at the University of Washington School of Built Environment. Margaret is a principal at Miller Hull. 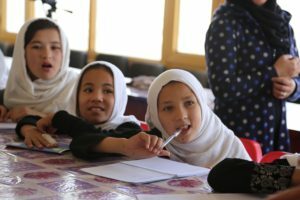 Both work together with our Afghanistan-based team and our Seattle-based Afghan Fellow to address architecture and culturally relevant approaches to the boarding school. Jason Simmons, our Afghanistan-based builder, has lived in Afghanistan since the Taliban and spearheaded our award winning Gawhar Khatoon Girls School. He will be at the helm to shepherd the boarding school through to completion. We’ve asked this stellar team to answer the most frequently asked questions about the boarding school. Q: Based on your experience, what would be the cost of building an equivalent school in the United States? Dave: You could use $600 per square foot as a good ballpark cost. An average size for a high school is probably 78,000 sq feet without a gym. To build the equivalent of a school in the United States would cost a minimum of $45 million. 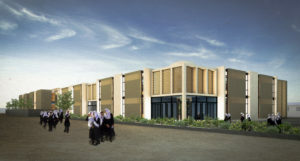 We can bring the same quality of school in Afghanistan for under $2 million. It’s amazing. Q: Afghanistan is still a war zone. What’s an example of your design incorporating concerns of parents for the girl’s safety? Jason: We use blast film for the glass in the school and build strong boundary walls as part of the school security. We provide cafeteria spaces where students can get food and utilize on-site facilities versus going out. And we provide expanded opportunities in safe spaces such as libraries, computer centers and meeting spaces within our facilities so girls do not need to go leave the building for private courses. Dave: Being able to exactly get the windows in the right place, so that we get the ventilation and the light, but we don’t get views from the street of the city, is certainly a big challenge that we work with our Afghan colleagues on to ensure cultural competence. Q: Are you concerned that parents won’t send their girls to a boarding school? Jason: In any society you are going to find those with different ideas and in that sense, there are challenges, but it is more likely we will have to turn people away. Many parents are looking for an opportunity like this for their daughters. 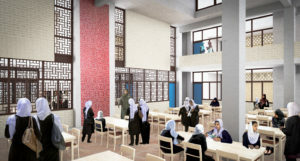 Q: How are you using architecture to design livable spaces for Afghan girls? Margaret: We work with Sahar’s Afghan Fellows who advise us about Afghan culture. We’ve learned that social spaces are as important as academic spaces and as a result we’ve designed to that need: we sensitively added congregating spaces that foster places for interacting and allowing for girls to play, study, converse and learn from one another. The boarding school is located next to a famous day school for girls and also provides wonderful ways for rural girls and urban girls to mingle in well designed, safe spaces. Dave: What we’re trying to achieve with the architecture is basic elements of providing for human comfort. Things like good daylight, which has benefits to mental health and learning; good air quality and air flow, so that the rooms feel like a healthy environment and are comfortable for learning. Jason: Using architecture to design both practical and beautiful spaces that addresses climate and environmental issues increases the usability of structures. We consider everything: from the design of the bathroom, to the outdoor gardens and seating spaces, the beautiful, colorful windows and classrooms that are inspired by local religious buildings and the passive solar design that helps to both heat and cool the buildings. 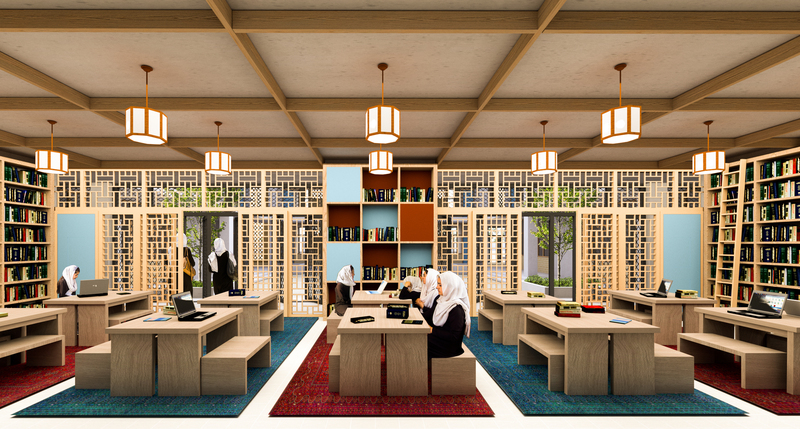 Taken together, these details create a space for girls to study in a beautiful environment, overcoming many of the barriers most Afghan students face in daily life. Q: In what ways do you work with the physical environment, instead of against it? Dave: We describe the building almost as a ship, with moving parts and design elements that work in harmony with the extreme weather instead of fighting against it. We call it ‘sailing the building.’ The UW architecture students use largely non-mechanical and power-independent techniques. For instance, By using wind chimneys and operating windows, the building can harness the breeze as a cooling mechanism. Jason: We use green design ideas: developing septic systems that filter through a series of concrete chambers leading to water that can be used for water gardens, greenery and trees onsite, while also providing a much cleaner bathroom facility. We also create green spaces and use ground covering that minimizes dust and uses very little water. Margaret: The building’s use of local influences including the design of the screens also honors customs and traditions of traditional design. Q: How important is it for a design to be replicable? Dave: From an architectural point of view, the goal is making sure that it is replicable. The design elements are modular so that you can adjust size and adaptability for different sites. Creating a flexible, adaptable, replicable design—that’s how we’re going to carry this forward. Jason: It is important for the design to be replicable so that it can be recreated for other schools in the country. This provides the Ministry of Education a blueprint for future projects across the country. Q: How does building a boarding school positively impact the local economy? Jason: This project will provide job opportunities to people from the area. We train craftsman to elevate their skills because of the unique designs inherent in the quality of the building enabling workers to secure better future employment. It also generates revenue locally because we source as many building materials as possible locally. Q: Why is Sahar building a public school? Jason: We believe it is very important to work with the local government. It allows us to work strategically and help to bolster their country-wide goals versus some separate agenda. Also public schools are really the only way to reach and help the most vulnerable students. Shout out to Zohra Orchestra: the Afghan all female youth orchestra performing internationally! Sahar highlighted in Global Washington’s Issue Briefing: What Will it Take to End Child Marriage?